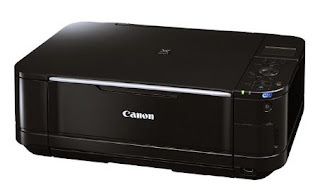 Canon Pixma Scan Without Ink Cartridges- Some users of multifunction Canon Pixma printer complain that when the users want to scan in the out of ink condition, it will not work even though ink is not used in scanning. However, when there is a will, there is a way. So how to use Canon Pixma scanner without ink? Here are the answers. This step work in many types of Canon Pixma multifunction. What you have to do is reset the ink detection. The ink detection must be reset by pressing and holding ‘Stop’ button in 5 seconds. The sound of alarm will be clearly heard and you can use the scanner again. If the way above doesn’t answer ‘how to use Canon Pixma scanner without ink’, you can try these following steps. First, turn the printer on, open the upper to access cartridge, and remove the cartridge. The steps for scanning with Canon Pixma without using any ink don’t stop here. Next, turn printer off and disconnect the USB cable. Then close front lid or place the printed paper out. Press and hold ‘stop/reset’ button and ‘on’ button after inserting the new paper into paper tray. Then release stop/reset button followed with the same thing (press and release ‘stop/reset’) twice. Then release ‘on’ button. Wait a minutes until it show zero (0) on the display. Next, press ON button to turn off the printer and paper will move in. After that, you have to turn on printer so paper will continue to move into the printer and stop moving in the middle. Then there will be blink ‘E’ and ‘3’ continously. Next, open front lid so that the paper will move and come out. Close the front lid and wait. The next is start to scan your documet without any ink. Those are the steps how to use Pixma scanner without ink that you can try.